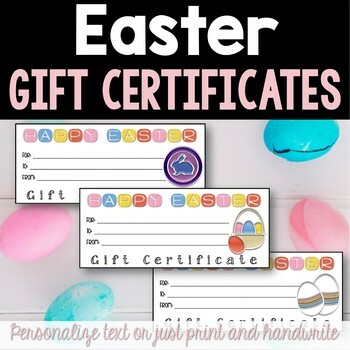 These super cute gift certificates are the perfect gift. 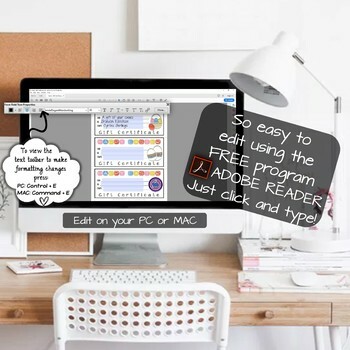 You can also use them as homework passes, incentives, or rewards for your students. 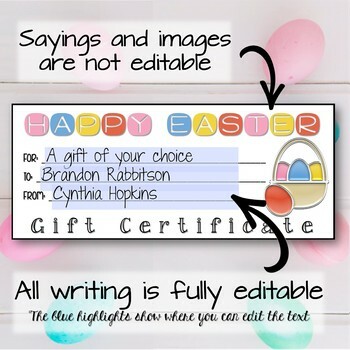 These also come in handy for last minute gift ideas because they are super easy to edit and customize. 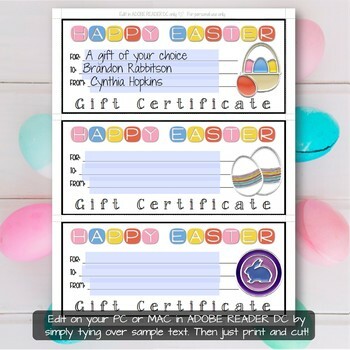 - You can also get these printed at any print store, such as Office Depot, Staples, etc.